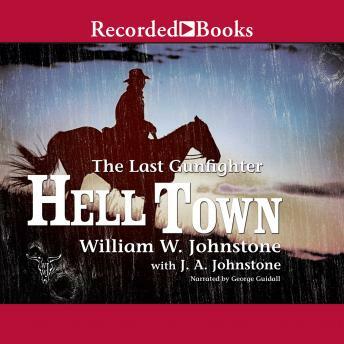 A perennial fixture of the USA Today best-seller list, Western author William W. Johnstone takes listeners back to the days of cowboys, outlaws, and hot lead. Thanks to a lucrative vein of silver, Buckskin, Nevada, has become a boomtown. As greedy, scheming forces converge on Buckskin, lawman Frank Morgan stands strong as the town's lone defense.